Novel advanced materials and nanomaterials are gaining ground over traditional materials due to their unique and enhanced properties. Creative Nano is positioned in the very start of the nanotechnology supply chain by incorporating solutions in surface treatment industry, synthesizing of nanostructured materials, advising companies on environmental safety and nanomaterials handling, as well as providing of scientific services & engineering consultancy to industry. 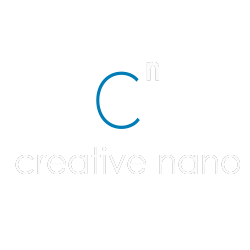 Creative Nano is a research intensive and commercialization company providing technological solutions in the field of materials’ nanoscience and nanotechnology. The company, originally founded in 2013 as Artia NanoEngineering & Consulting, got its current form after merging with Creative Nano at 2018. Cnano is a research-intensive, pilot/small batch production provider, based in the industrial area in western Athens area in the Municipality of Peristeri. Cnano’s core team consists of a number of dynamic and highly qualified, MSc and PhD level scientists and engineers demonstrating long experience in their respective research fields. Cnano has considerable expertise in the fields of surface treatment, development and validating advanced materials and nanomaterials and on the assessment of their environmental impact. Cnano is providing technological services, scientific advice and support on demand to customers in various fields such as automotive, aerospace, environment, decoratoin and oil & gas. Cnano has expertise in the synthesis on demand of small batches of various type of nanoparticles by utilizing top down or bottom up techniques. Wet chemistry and electrochemical routes are used for production of metal and oxide nanoparticles. Nanoparticles such as Au, Ag, Cu, Cu alloys and Ni can be produced in quantities of up to 100mg with high precision in shape and size. Oxide nanoparticles such as TiO2, doped-TiO2, SiO2, doped-SiO2, can be produced in batches of up to 5gr. On the other hand a large variety of while by utilizing high energy ball milling nano-structured particles of various oxides and carbides can be obtained. Functionalization enhances the properties and characteristics of nanoparticles through surface modification, and enables them to play a major role in engineering, environmental and medicine applications. Through our advanced characterisation facilities, we deliver high quality analyses on evaluating a wide range of raw materials and final products. In our laboratory we perform state-of-the-art analyses and characterisation including photocatalytic/self-cleaning evaluation of powders and surfaces, water-physicochemical analyses, hardness and corrosion testing, as well as chemical composition, mechanical and electrochemical behaviour evaluation. Responsible industrial development calls for manufacturing of marketable products, while ensuring a healthy working environment and minimizing environmental impact. At Creative Nano we strive to achieve responsible development and are constantly developing new and improving existing approaches towards environmental safety and protection. Our areas of expertise are safe-by-design product development, environmental assessment support services, and environmental monitoring.